We hope that you had a wonderful time at the 2013 Bermuda Highland Games! We know that we did! 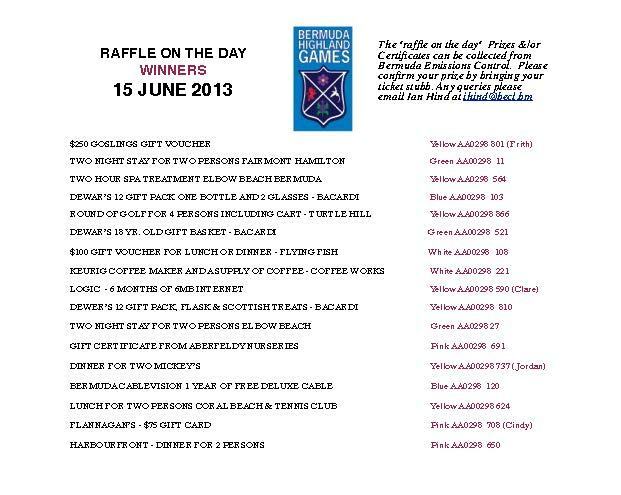 If you purchased raffle tickets, take a look – you might be a winner! If you have problems seeing this, please download the pdf version here.